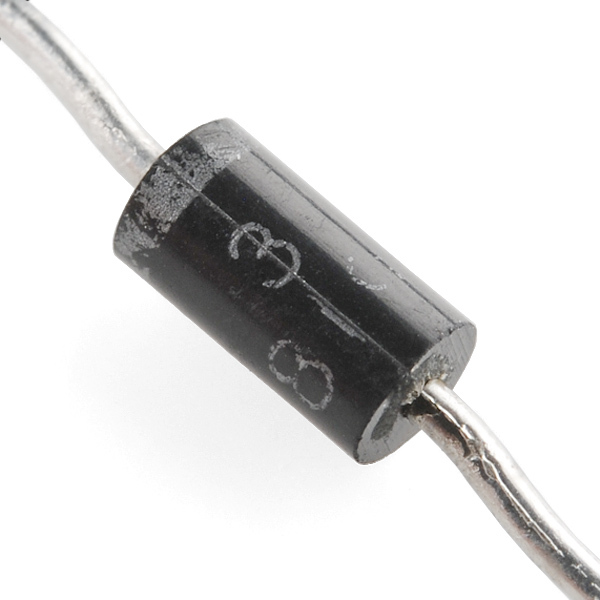 Schottky diodes are known for their low forward voltage drop and a very fast switching action. 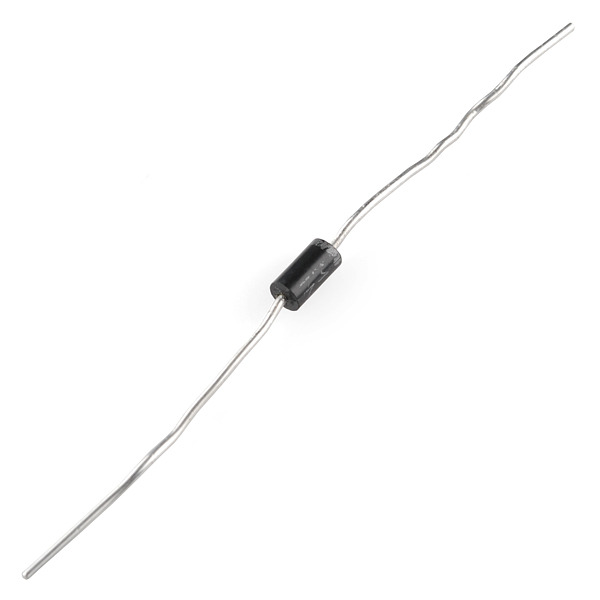 This 1A 40V Schottky diode is ideal for use with motor drivers such as the L298N. can I use it with a PWM of 80% duty cycle ? will it keep the PWM signal ? and the power flowing trough it will be only 20 mA and 5v is it ok ? Where can I find an exelent tutorial about diodes and there use ? 1A isn't a lot. I need a diode 1.3A , 25VDC, low Vf for use with a small solar panel. I found VSB15L45-M3/54, a 15A, 45VDC Schottky diode, axial mount (SMD is ruling the world increasingly ;-( ) by Vishay, but nobody stocks it, or will order less than 1000 of 'em. It helps me to remember the function of Schottky diodes by always calling them Schottky Flyback diodes. These are also known as inductive spike snubbers on the activation coil of relays. You could probably use the 1n4001 if you are doing something in Eagle, because these two parts are really about the exact same size, but this is the 1N5819 Shottky Diode, it has less forward voltage drop and is capable of switching at a much faster rate than your standard run of the mill rectifier diodes. what part on Sparkfun's eagle library should i use? This is one of the best small Schottkys around, particularly for the price. The voltage drop is lower than every other diode in my toolbox, and some of those are high-end Schottkys that were way more expensive. Put a few of these in your toolbox. They come in handy for all kinds of useful things.